As we communicate by voice, modulating the mechanical waves emitted by our vocal cords, great physicists such as Hertz, Tesla, Branly and Marconi understood that it was possible to use electromagnetic waves to convey information through the air. At the end of the 19th century, an understanding of electromagnetism led to the mastery of electricity, which has populated our daily lives with artificial electromagnetic field sources (or EMF). 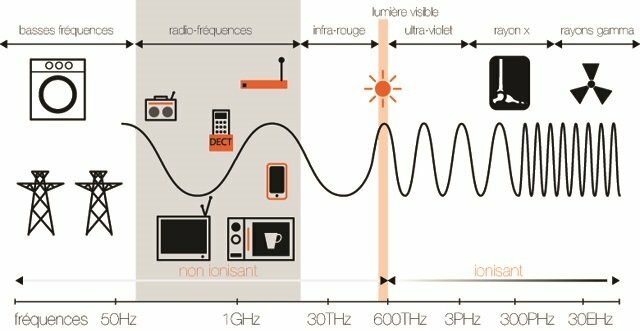 So today, at home, EMFs are present in light bulbs, microwave ovens, cordless phones, induction cookers and, of course, Wi-fi boxes and all devices connected to it. 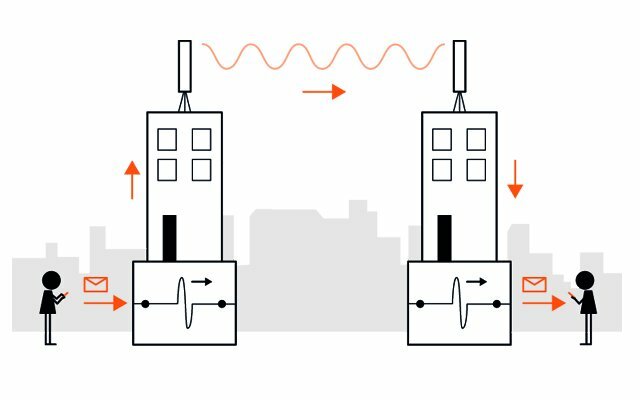 While many different types of EMF are used to convey information over distance, the most common are radio waves, also called radiofrequencies. This is a wide spectrum ranging from tens of kilohertz to 300 gigahertz. Within this spectrum, frequency bands are allocated to each use. This distribution is intended to ensure an efficient service for each user and avoid interference in transmissions and communications – to avoid the interruption of police or fire brigade communications by someone’s personal walkie-talkie, for example. It was mastery of radio waves that gave birth to the “wireless telegraphy”, then radio, television and modern forms of telecommunication: radio and TV transmitters, satellite links, GSM mobile networks, etc. how do radio waves carry information? The basic principle is simple. At one end, a transmitter “encodes” or modulates messages by varying the amplitude or frequency of the wave – a bit like Morse code. At the other, a receiver tuned to the same wavelength picks up the signal and ‘decodes’ it back to the desired form: sounds, images, data, etc. All wireless communication systems, from the home remote control up to the satellite, are based on this principle, even though increasingly complex technologies are of course used to encode these electromagnetic signals, improve their quality, increase the amount of information or make transmissions secure.